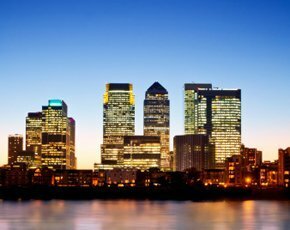 London’s booming financial services sector is the biggest in the world, with global banks such as Citi and Barclays lining the streets of Canary Wharf. It’s what make London and the City such an attractive place for financial technology (fintech) suppliers to set up business. Throw in the culture and job opportunities, and London is the first place a startup supplier would think of setting up shop. The changing IT strategies of banking institutions are also helping to make London a more prosperous place to be for fintech startups. Gavin Cleary, chief commercial officer for financial services organisation at government department UK Trade & Investment (UKTI), said that London now has a lot of buyers of financial services technologies, which is a significant draw for fintech companies. Barclays is another bank aware of the need to innovate using smaller fintech companies. It recently launched its own accelerator programme, not in the City, but in the heart of east London which is known for its startups. But when it comes to the costs of setting up a business, London dwarfs the rest of the country. Some companies even prefer the idea of basing themselves outside the capital to benefit from much lower costs. But Nektarios Liolios, MD of Startupbootcamp in London, wasn’t so sure. He said fintech startups need support and a community in which to thrive, as well as access to customers and investors, all of which London provides. “In the US the really exciting early fintech stuff doesn’t come out of the Valley, but New York and Boston,” he said. “In the UK you don’t really have pockets of financial activity elsewhere. But Eric van der Kleij, head of Level39 in Canary Wharf, where the event was being held, argued that it doesn’t matter where in the UK fintech startups are. He just wants more companies and more entrepreneurs. He pointed to Manchester as well as Scotland and Northern Ireland as locations that have been very strong for fintech companies. Van der Kleij wants the fintech sector to be UK-wide. His startup accelerator Level39 is one of three fintech-focused incubators in the UK – all based in London. Given that the whole of financial services and the technology sector add up to 14% of the country’s GDP, he believes this is ridiculous. “Let’s start another one somewhere else in the UK and connect them,” he suggested. Cleary also pointed to Northern Ireland as a fintech cluster, with Citi Group and the New York Stock Exchange setting up offices while fintech firm First Derivatives has just created 484 jobs in County Down. But he pointed out that communications with London are key for the success of clusters outside the capital. Russ Shaw, founder of Tech London Advocates, also hopes that HS2 will lead to a better-connected UK. But it could be Chancellor George Osborne’s plans to extend the rail network with an HS3 connection between Manchester and Leeds that could lead to a fintech hub emerging in the north over the next decade. Shaw said Leeds has a history of banking and credit agencies and he is already noticing a number of fintech companies growing in this area. He said it will be areas like Leeds with existing talent pools that will produce the best home for these fintech startups. While experts at the UK Fintech Industry Summit agreed that Edinburgh and Glasgow are places where fintech companies could thrive, there is a chance that Scotland may no longer be part of the UK in future. And a vote for Scottish independence come September 2014 is just one aspect of political uncertainty in Britain at the moment, according to Mark Boleat, chairman of the policy and resources committee for the City of London Corporation. The UK also faces uncertainty over its future as part of the European Union. It is the uncertainty which is a factor, said Boleat, but that right now that uncertainty is overwhelmed by all the benefits of living in the UK. The big issue is the availablity of fibre connectivity. In London this can double, treble or quadruple the price of office accommodation. If it is not included, a start-up can begin with a bill of £10,000 a year (on top of connection charges) because of the BT policy of not enabling enable fibre to cabinet to locations with more than more 50% business lines. Hence the attraction of moving to locations where fibre to premises is either included in an attractive accommodation package or is available at under £2,000 p.a. (as with locations served by the "alternative network providers"). Hence my regular blogs on the situation in Smithfield (Inner Farringdon Ward) which is typical of many locations in London which would otherwise be ideal for Fintech startups .